DENTON, TX — Members of the Nighthawk Composite Squadron of the Civil Air Patrol, stationed in Denton, TX, attended the Civil Air Patrol Texas Wing Conference held in Houston on April 13-14, 2013. Texas Wing’s annual conference featured not only training and instruction but also honors at the Wing and Region levels for some of the Squadron’s top achievers. Special guests at the conference included Mr. Gene Krantz, retired NASA Flight Director on the Mercury, Gemini and Apollo programs and featured in the movie Apollo 13, aviation pioneer Mary Feik, and NASA Astronaut (and CAP member) Air Force Col. Eric Boe. The Squadron was honored by both Southwest Region and the Texas Wing with the Ground Team of the Year award for search and rescue. 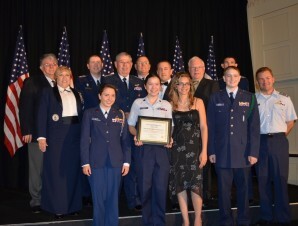 The Squadron also received the Aerospace Education Excellence award. Maj. Michael Parkhill received the Texas Wing Aerospace Teacher of the Year award. Maj. John Watts received the Texas Wing Property Management Officer of the Year award. LtCol Bryce Herkert was nominated by the Texas Wing to receive the National Frank G. Brewer Aerospace Award. 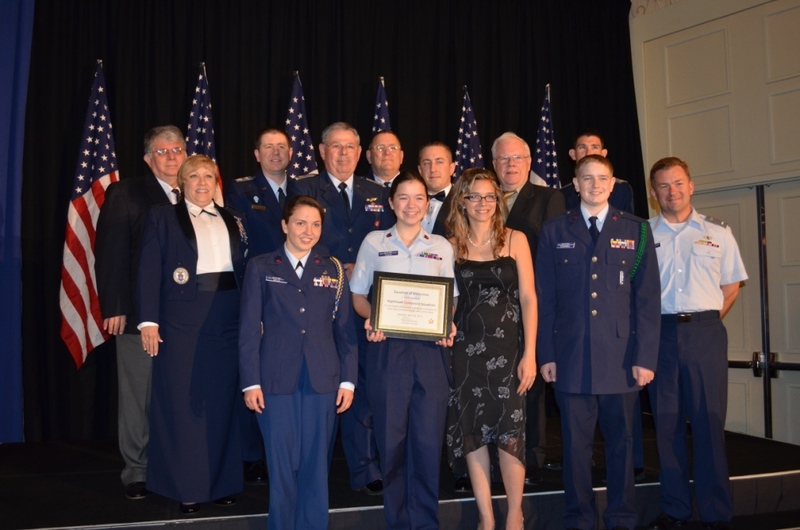 C/MSgt Caroline Personius received the Cadet NCO of the Year award from the Air Force Sergeants Association.